Lock in a great price for Tortuga Lodge & Gardens – rated 9 by recent guests! The property is well placed to experience everything Tourteguro has to offer. There are so many things to see without even leaving the property. The staff was helpful, professional and treated us like family. We experienced nightlife, incredible food, a turtle tour, the best fishing trip ever (thanks Leonard! ), and saw countless animals, insects and flowers. We have absolutely no complaints and would give this property at 12 out of 10 if it were possible. The grounds and staff were great. So much to see within a few feet from our room. 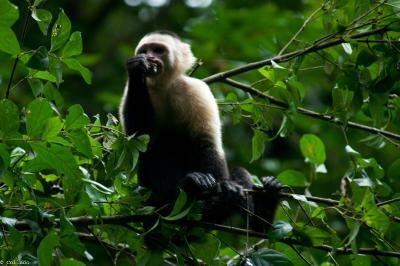 If you enjoy spending a few days in a tropical jungle...consider Tortuguero. 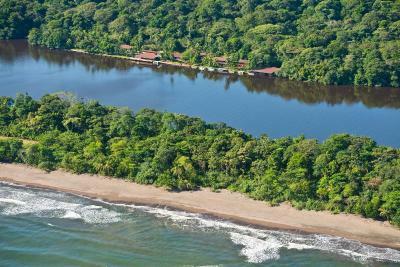 And if you decide on Tortuguero, stay here. Exceptional staff, comfortable accomodations, outstanding guides that take you, by boat, on excursions into the rain forest to see wildlife that is second to none...and the food is outstanding, as well. Book a three day stay. You will be glad you did. This was our third visit here and the staff greeted us like returning family when we arrived. Delicious food & excellent service! We want to revisit!! Totally Natural Surrounding with birds and animal sounds. Absolutely amazing!! 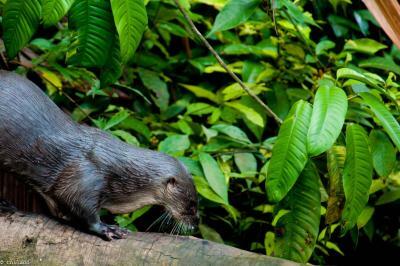 It made our stay in tortuguero so special, we stayed for 3 nights. Beautiful place, excellent rooms with an amazing bed and spacious bathroom. So quiet and peaceful.. Highly recommended! We loved how quite and peaceful the lodge was. There are screens for windows and you heard the waves from the beach and nature sounds ever night. The wildlife on the grounds were impeccable. You are literally staying in the middle of the jungle. The place looks fantastic, the view is amazing and there are enormous leguanas that share the grounds with you. The staff is super friendly and helpful plus the guides for the tours are really good, shout-out to Norton & Willis! Luxurious hideout in the middle of the jungle. 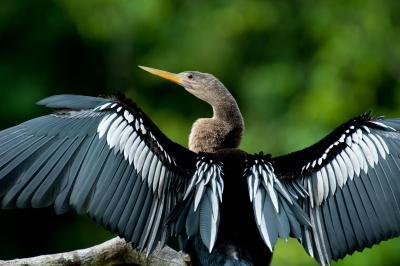 Many exclusive tours to explore the unique and breathtaking wildlife. Super friendly guides. Everything was very clean. Great food. Amazing view on the Rio Tortuguero (especially during sunrise). Good night’s sleep with cool breeze from the ocean (no air conditioning necessary!). Tortuga Lodge & Gardens This rating is a reflection of how the property compares to the industry standard when it comes to price, facilities and services available. It's based on a self-evaluation by the property. Use this rating to help choose your stay! 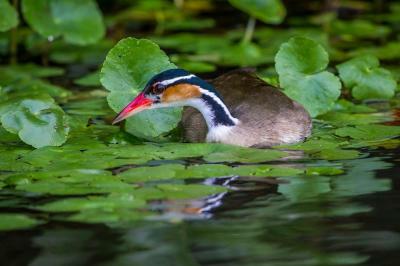 One of our top picks in Tortuguero – and a guest favorite. Set on a riverbank and surrounded by jungle, Tortuga Lodge & Gardens offers an outdoor pool, free Wi-Fi and a restaurant serving fusion cuisine with Caribbean flavors. All rooms have river views. À la carte breakfast included in rate. All rooms have screen windows, ceiling fans and a private bathroom with a hairdryer and toiletries. The front desk can help arrange kayaking and sports fishing trips and visits to local villages and nearby turtle nesting sites when in season. Tortuguero Airport is located just across the river from Tortuga Lodge, and San José is a 30-minute flight away. The nearest town is a 10-minute boat ride away. 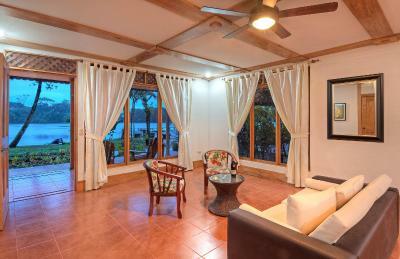 When would you like to stay at Tortuga Lodge & Gardens? 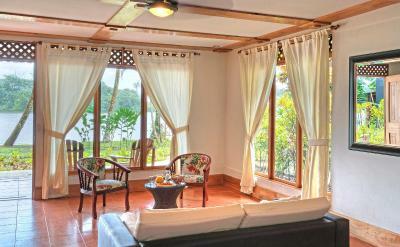 This ground floor room opens on to a terrace with a hammock which features views of the river, gardens and jungle. 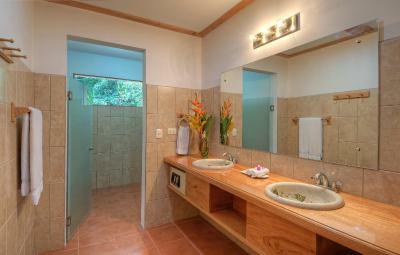 All rooms have screen windows, ceiling fans, a safe, free Wi-Fi and a private bathroom with a hairdryer and toiletries. 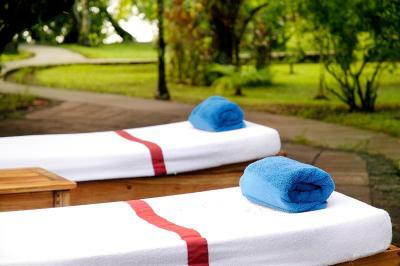 On the upper floor, this room shares a spacious balcony, with a hammock and views of the river, gardens and jungle. 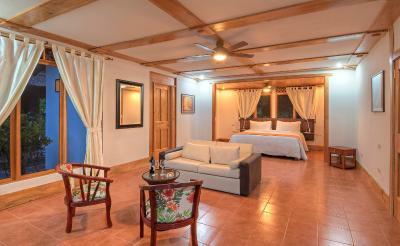 All rooms have screen windows, ceiling fans, a safe, free Wi-Fi and a private bathroom with a hairdryer and toiletries. This ground-floor room opens onto a shared terrace with a hammock area and offers stunning views of the river and gardens. 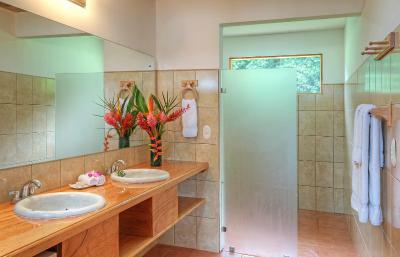 It features large screened windows, 2 ceiling fans and a private bathroom with 2 sinks, separate shower and toilet area. Hairdryer and toiletries are available. Connecting Junior Suites are available. Please note that these are the only connecting rooms at the property and both must be booked in order to share them. 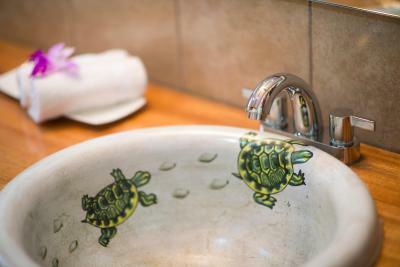 House Rules Tortuga Lodge & Gardens takes special requests – add in the next step! Tortuga Lodge &amp; Gardens accepts these cards and reserves the right to temporarily hold an amount prior to arrival. Tortuga Lodge & Gardens accepts these cards and reserves the right to temporarily hold an amount prior to arrival. Please let Tortuga Lodge & Gardens know your expected arrival time at least 3 days in advance. You can use the Special Requests box when booking or contact the property using the contact details found on your booking confirmation. Please note that the reception is closed from 22:00 until 06:00. It is not possible to check in outside the normal reception opening times. Due to its secluded location on a river bank, Tortuga Lodge & Gardens can only by accessed by a combination of ground transportation and boat rides. Guests can also arrive to the site through a domestic flight. The nearest town is a 10-minute boat ride away.
! Up to two children under 10 stay free when sharing a room with parents and using existing beds. Rooms accommodate a maximum of 4 people total including adults and children. Please inform the property how many children will be arriving to assign you the correct room. All older children and adults are charged USD 40 per person per night. Rooms accommodate a maximum of 4 people total including adults and children. One additional bed can be added to some rooms. This additional bed is added so that two kids don’t have to share a double bed. Even with the additional bed, rooms are for a maximum of 4 people. KEEP IN MIND THAT AFTER 4PM THERE ARE NO PUBLIC NOR PRIVATE BOATS AT LA PAVONA DOCK TOWARDS TORTUGUERO, PLEASE CALL US BEFORE YOU BEGIN TRANSIT TOWARDS TORTUGUERO. Everything was perfect. Arrival with public ferry from La Pavona took a long time as the Rio La Suerte didn’t carry enough water during dry season. Would recommend a private water taxi. But this has absolutely nothing to do with Tortuga Lodge & Gardens. Everything. Amazing staff, location, rooms. Best place to stay by far! Location, gardens, trails, restaurant, helpful staff etc etc! This is an exceptional and unusual hotel. There is no music in the public areas, no televisions in the bedrooms, no air conditioning, no glass in the bedroom windows (but there is netting to keep mosquitos and animals from getting in!). There are no cars because there are no roads into Tortuguero. If you must, you can fly into a tiny airstrip and take a boat across to the hotel, but it is an experience and an adventure to navigate your way by road to Pavona and take a boat trip down a small twisting river, through the tropical forest. When you get to Tortuga Lodge, it is heaven. You are away from everyday life and there to listen to the birds, to be woken by the howler monkeys, trip over iguanas in the grounds. The staff at the hotel are knowledgeable and helpful, as well as being relaxed and attentive - when you need it. 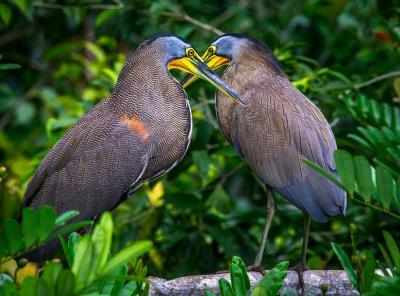 The food was wonderful and we took several excursions - in our case kayaking up some of the side rivers with an experienced guide, where we saw monkeys, anteaters, caiman (mini crocodiles) and many exotic birds. The one nod to the modern world is fabulous wi-fi, which is probably useful for the odd teenager who might be visiting, but most visitors were interested in the wildlife, or simply relaxing with a book beside the water. When we came to leave (by boat) several members of staff stood at the landing jetty and waved us off. Brilliant, the whole experience. Lovely place! The food was fantastic, staff was nice and helpful. The pool it great and last the rooms are very nice as well. Very polite and helpful staff. The animals around the grounds and the knowledge of staff doing the tours. The restaurant has a great setting, having the meals by the river was amazing but, food could be better. Place is a piece of paradise. So, so beautiful! 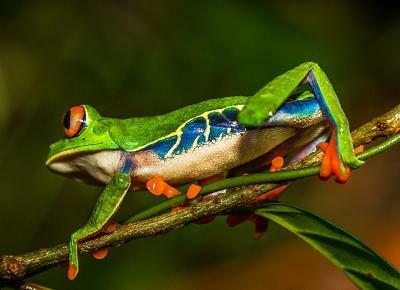 Without leaving the property and if you take the free tours that they offer (early in the morning and in the afternoon) you can see all kind of vegetation, birds, iguanas (everywhere), incredible insects and frogs, monkeys, sloths! We also did the night walk and the boat tour, both highly recommended. Super friendly staff. It is quite tough to arrive to the hotel, it took us more than one hour to get there from La Fortuna (horrible place) because the river level was very low but, when arrived, we instantly forgot the struggle looking the beauty of the place. We stayed over New Year’s Eve and were surprised no effort was made for midnight celebrations. The bedrooms have no glass, only netting so you fall asleep listening to the jungle. Luckily earplugs are provided. The location is idyllic. We recommend arriving by car & boat to appreciate the surroundings, and flying out from the airstrip opposite this remote lodge. The hotel’s private jungle trails are brilliant, and you can borrow boots and walk by yourself, which is a real selling point (although go with a guide to see far more animals). Staff were extremely helpful. Amazing location and very peaceful. Staff are very warm. Wildlife everywhere.